I received a copy of this book from the author in exchange for my honest and unbiased review. Before his untimely death in 1967, Focke lived in poverty and poetry; he struggled to make ends meet and spent his days mulling over melancholies. This omnibus combines Focke’s magnum opus The Reflection Collection, Seasons Of Love, The Zoobadoo Zoo, and other never-before-seen tales from the Short-Lived King of Short Stories. This is such a hard book to review. There are definitely things that I LOVED and things that I really couldn't stand. Focke has a wonderful imagination and terrific command of the English language. He is unafraid of being a little bit out there. For this reason, his work reminded me of Douglas Adams. It was definitely entertaining. Focke chooses to write from a variety of points of view. This shows his ability to adapt to a wide range of speakers and showcases his talent as an author. The art work is absolutely stunning! I would love to put these illustrations on my walls. There was no cohesive story line. It was one constant jump from story to story to story for all of the 67 pages. It left no room for me to care about any of the presented characters. I didn't like leaving this book with a big "so what?" I spent more time interacting with the art than I did with the words. To me, that was more meaningful. 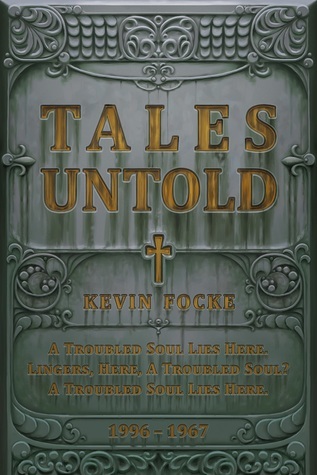 Unfortunately, I felt like this book was a miss for Kevin Focke. However, his willingness to step out of his comfort zone and his wonderful use of adjectives inspire me to give his writing a second chance should I find another of his books.